The presence of US troops in Syria is escalating tensions between government forces and the Kurdish-dominated Syrian Democratic Forces (SDF), with some politicians and Syrian Army officers accusing the SDF of serving as “puppets” for the US and other western powers. In excess of 70 Syrian tribal leaders met in the Aleppo Governorate, specifically the city of Deir Hafer, over the weekend to discuss plans and coordinate with one another to remove US forces from Syria, Al-Masdar News reported on Sunday. Via a joint statement, the tribes, which are predominately Sunni Muslims, announced the formation of a coalition to oust US and French military personnel from Syria, in addition to liberating territory held by the SDF, provided Damascus is unable to negotiate a reconciliation deal with them. ​The tribesmen also reportedly discussed the prospect of fighting Turkish forces in northwestern Syria. The different tribes hail from various parts of Syria which are currently occupied by US-backed forces, including the oil-rich provinces of Deir ez-Zor and al-Hasakah. Although there’s been some low-level, sporadic clashes and attacks on SDF bases in northern Syria in recent months, particularly in the Raqqa Governorate, where the Popular Resistance of Raqqa (PRoR) operates, we are yet to see the launch a widescale, continuous anti-SDF operation, by either the Syrian Army or local militiamen. However, in a recent interview with RT, President Bashar al-Assad warned that a widescale anti-SDF offensive would be launched if negotiations fail. In the meantime, the Syrian Army is mobilizing and deploying forces to southern Syria ahead of a major offensive in the Deraa government, where militants control a large chunk of territory, including parts of the provincial capital. 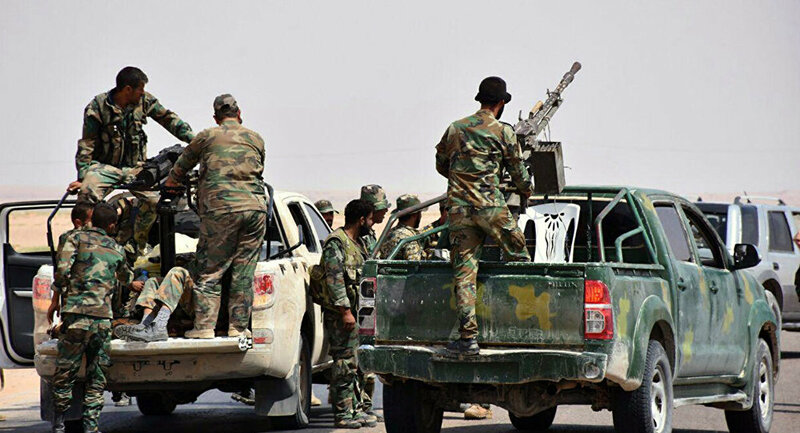 Last Friday, a military source confirmed to Sputnik reporter Suliman Mulhem that Hezbollah troops and other Iran-backed militiamen won’t be involved in the offensive, likely as part of an acceptable compromise reached with Israel via Russian mediators.